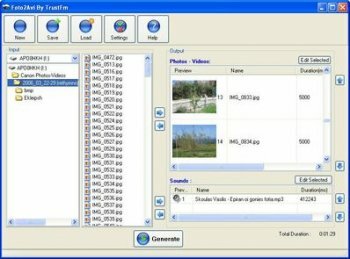 Foto2Avi is a freeware basic video/photo converter for avi, mpeg and flv. It is an video editor too. Has special effects like Transitions, Basic Effects, Advanced Effects, Animations, Subtitles and Logos. Wow! I've just discovered the "tutorial section" of Foto2AVI (http://www.trustfm.net/phpBB2/viewforum.php?f=24) and a nice video published on YouTube (http://youtube.com/watch?v=gTN_DPMaWjM)! Certainly is intuitive and quick. Tried it yesterday and it's a keeper for me. I'll balance out previous pan & give it some brownie points, before trying, for providing yet another interesting file host: http://mihd.net/ , even though it's not among the fastest around. This is a really powerful piece of software and best of all it's free! I use it regularly to publish my videos/slideshows on Youtube, it's able to manage soundtrack, pictures, videos, advanced effects and transitions and much more. Output formats: AVI, MPEG, FLV (YouTube). Yeah, i mean come on.... who wants to go fill a capcha & then wait in queue....please!! I couldn't download the software because it uses a service, and the free option was filled. If the author wants this product to get proper release, they should have a proper website download for it.